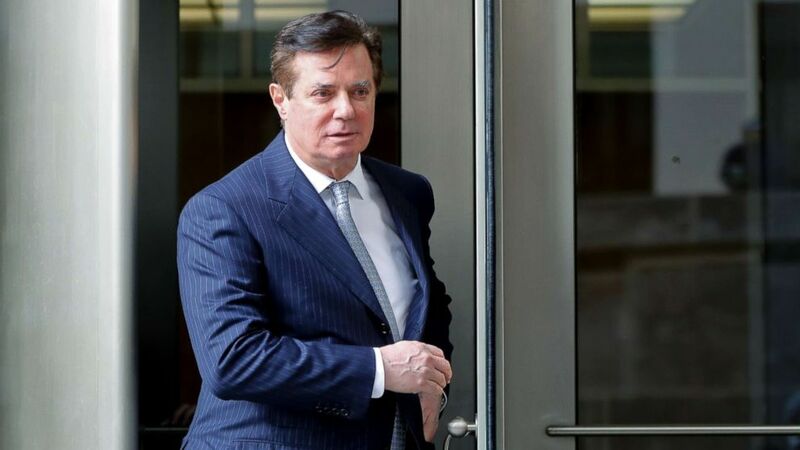 Special counsel Robert Mueller has accused Manafort of lying about his contacts with administration officials in 2018 and at least four other details related to his probe of Russian election meddling during the 2016 campaign. As ABC News confirmed, Manafort’s legal team had been sharing information about his interactions with the special counsel with the president’s legal team — a story that was first reported by the New York Times. This reignited speculation Manafort could be angling for a pardon from Trump. Donald Trump, flanked by campaign manager Paul Manafort and daughter Ivanka, checks the podium in preparation for accepting the GOP nomination to be President at the 2016 Republican National Convention in Cleveland, July 20, 2016. In addition to Manafort, Raddatz noted there are four others in Trump’s orbit who were receptive to Russian outreach: the president’s former longtime personal attorney Michael Cohen, his eldest son Donald Trump Jr., former national security adviser Michael Flynn and former campaign aide George Papadopoulos. “People have a right to say that that’s what happened, especially when facing criminal charges. That doesn’t necessarily make it true. It doesn’t make it untrue either,” Rubio said. President Donald Trump walks to speak to the media before boarding Marine One on the South Lawn of the White House, Dec. 8, 2018. “And I will tell, when all that information is out there, no one — no one is more important than our country, no one is held above the law,” he added. Rubio said that until the American people see all the findings from both the Senate Intelligence Committee’s Russian interference probe and the special counsel’s investigation, that it’s important to reserve judgment.